The men’s fashion brand decided to intensify their cooperation with EHF Marketing during the EHF FINAL4 in Cologne. 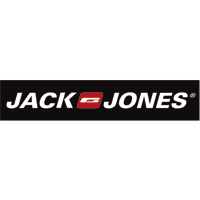 EHF Champions League partner, Jack & Jones, have announced that they are to increase their presence at the EHF Champions league FINAL4, the new final phase and high point of the 2009/2010 season, which will take place in front of over 19,500 spectators in the LANXESS arena, Cologne on 29 and 30 May 2010. The leading men’s fashion brand is so impressed with the impact that their brand has had in their first season with Europe’s leading club handball competition that they have decided to intensify their cooperation with EHF Marketing GmbH during the crucial phase of the competition, the EHF FINAL4 in Cologne. The Danish company has agreed not only to increase the amount of advertising in the arena, with additional time on the LED boards surrounding the court area and additional floor advertising, but also to support the biggest club handball event of the year with initiatives for fans including a Jack & Jones Promotions Area with give-aways, games and competitions.